I needed a little time to get all my things put back together after a very successful guide trip way out west on Lake Sakakawea. First things first, we are so spoiled here in North Dakota when you really think about it. 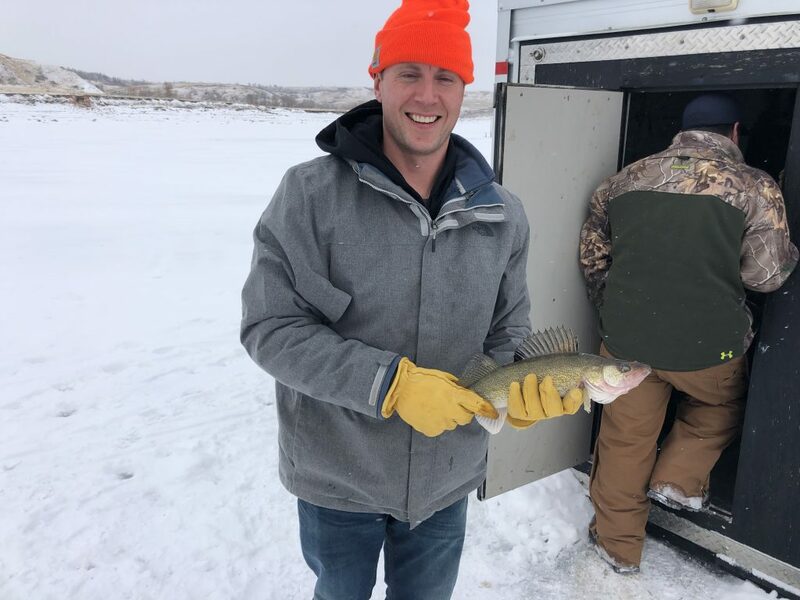 Lake Sakakawea, Lake Oahe, Devils Lake, Missouri River and all the Prairie Lakes we have are all world class places to ice fish. I guess in the big picture of things we are probably fortunate we are as far away from a major city as we are or we wouldn’t have the fisheries we do. I wasn’t sure where I was going to take this group and I spent a fair amount of time looking around different areas and regions for them before I settled on going up around the New Town area. I’m sure glad I did! I was up in that stretch of the lake roughly a month ago, but now with the ice forming like it has a person has a lot more options. Another thing I like about this area is you have really good access to get on the lake and explore. I wish I owned a Sno-Bear or a CanAm with tracks because I would be able to really get around! The fishing is fairly simple. Find the edge of the river channel and park yourself around the 30 foot mark and jig away! We saw countless fish on our electronics and fish of all sizes took part in hitting our minnows. We also saw perch and Cisco’s that took part in us hooking and catching. The cool part was you could vertical jig right off the bottom and the fish would just drill it! I honestly can’t wait to get back up there and fish again! Sanish area and Reunion area were good!